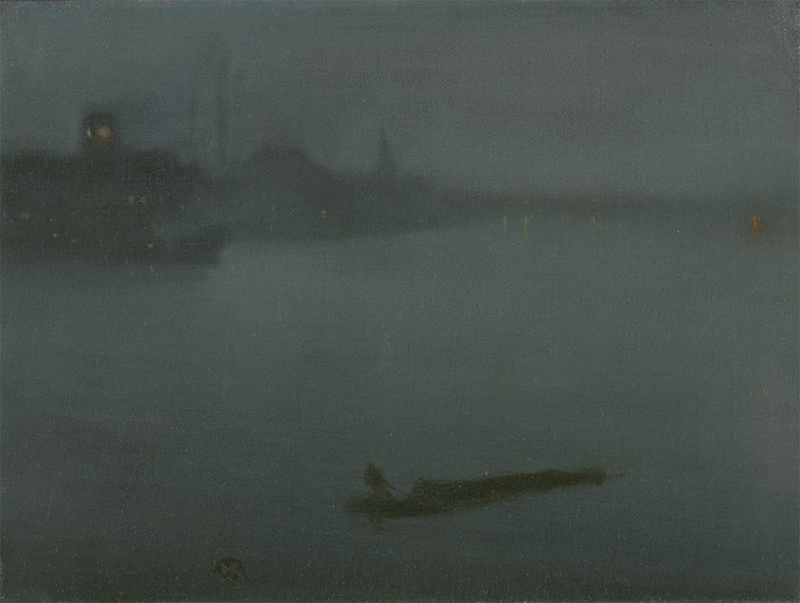 Like the Nocturne series done in the 1870s, James McNeill Whistler’s Cremorne Gardens No. 2, ca. 1870-80 illustrates the artist’s tireless fascination with the moonlight scenery of the River Thames of Chelsea in London. Unlike the Nocturne series and without the melancholic solitude and the misty landscape, Cremorne Gardens, No. 2 depicts an atmospheric evening of clandestine activities under colorful lights. This painting although unfinished reveals some of Whistler’s signature characters as an American painter who had lived in Europe for most of his life. Such as his love of the Chelsea landscape at night, the harmony of colors on the canvas and the influence of Chinese and Japanese designs and paintings. In 1860, Whistler moved from Paris to London after a period of frequent journeys between the two cities. When he finally settled at No. 7 Lindsay Row in Chelsea, Whistler took up a studious interest in the view out side of his widow. Opposite of his window, there was the Battersea Church and a line of factory chimneys. With old Battersea Bridge stretched across he could see the lights of Cremorne Gardens at night. At the end of the Row lived boat-builders Greaves. One of the sons often rowed Whistler across the water at the evening calls of the artist. Greaves recalled the painter often sketched on the boat using brown paper with black and white chalk. The style and mannerism of the Cremorne Gardens, No. 2 in particular echoes that of an evening sketch. While the brush strokes appear quickened yet the dabs of paint are laid down in as such that they make out the silhouette of figures seen in the distance. By this time, Whistler had already made quite a few works and studies of the Chelsea landscape both in oil paint and in prints. However the Cremorne Garden No. 2 is different from all the others in the sense that the landscape is filled with people. In other words, this picture is more about the colorful evening lights upon the people mingling in harmony amid a misty atmosphere. 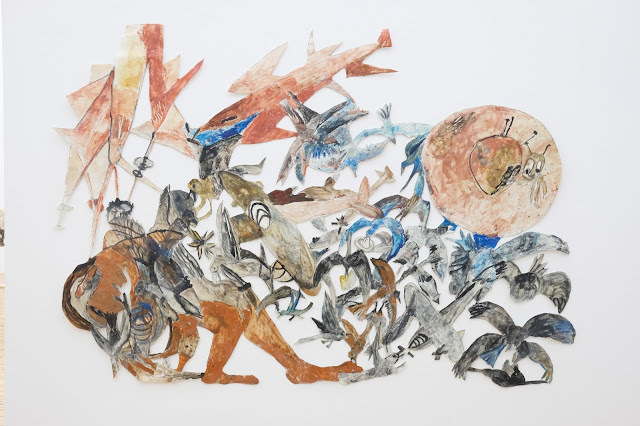 This work according to Bryson Burroughs in the Metropolitan Museum of Art Bulletin published in 1912 is an unfinished work. 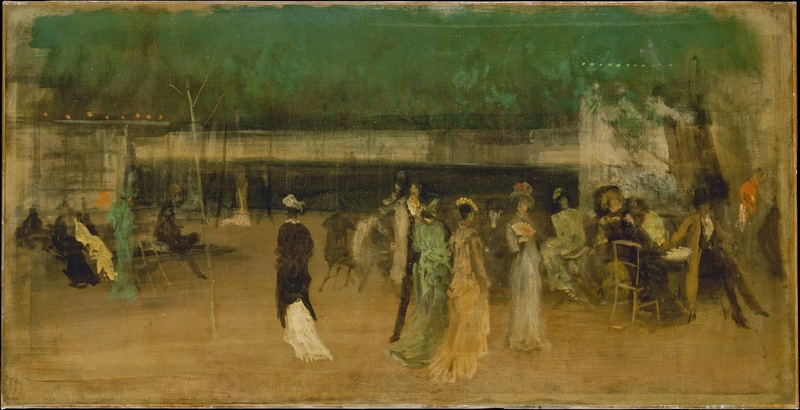 Although this explains the apparition quality of the painting to an extent, however the light application of the colors is indicative of Whistler’s careful works and concern in the harmony of colors. As the evening air is livening up the mood of the people, simultaneously both the colors of the evening and the colors of the figures begin to complement each other. 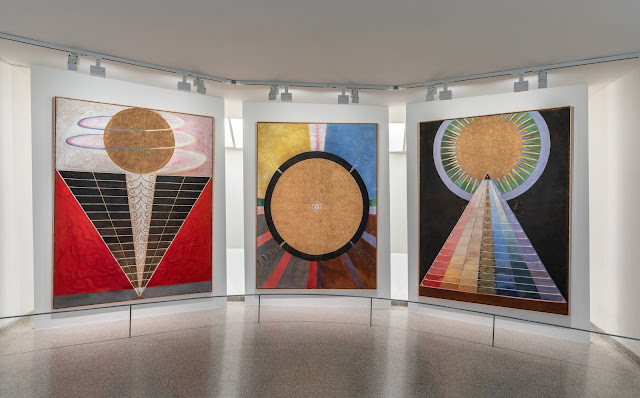 For example, the strategic positioning of the colors such as the red-orange lanterns on the left upper side of the canvas echoes with a dotted line of pink lights on the opposite side. Furthermore, the pink lights are of the same color as the flowing evening gown of the woman in the foreground. This choice of applying the colors as a light wash on the surface to convey the mistiness of the night echoes in his Nocturne: The Thames at Battersea, 1878 (a lithograph also in the collection of Metropolitan Museum of Art.) 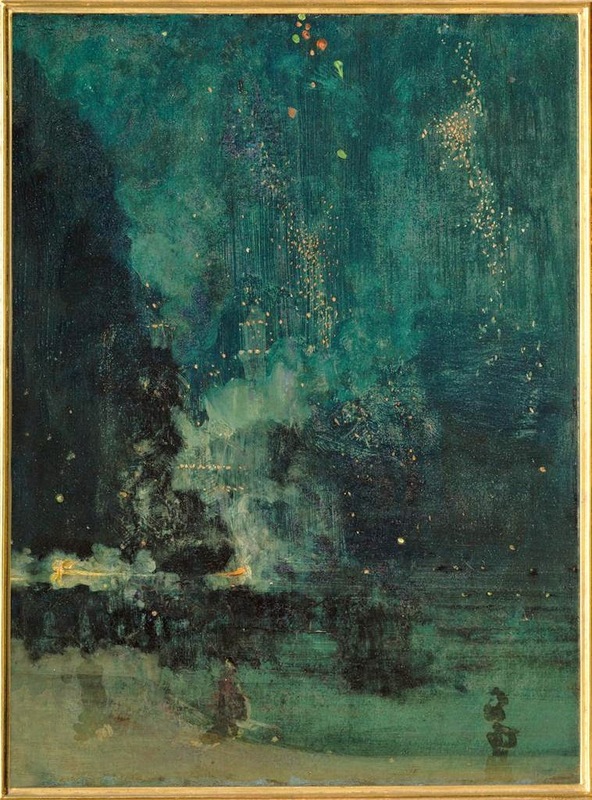 For depicting an evening under the moonlight, Whistler had his particular ways. 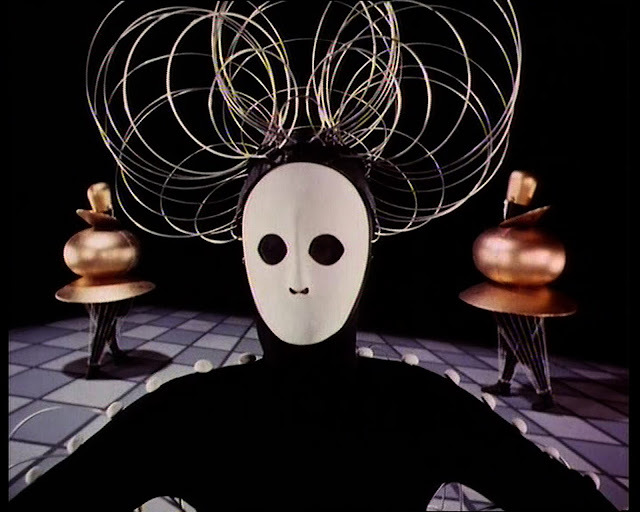 As he had once said in his “Ten-o’clock” lecture delivered on February 22 in 1885: “Nature is very rarely right, to such an extent even, that might be almost said that Nature is usually wrong …” Therefore it is up to the artist and his imagination to bring about the right representation and the harmony of mood. In Cremorne Gardens, No. 2, the nocturnal atmosphere of a smoke-clouded sky is achieved by light washes of grey, pink and green colors permeating together. 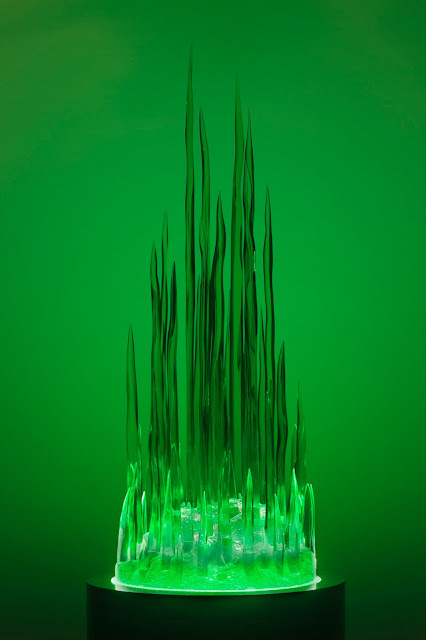 This effects in the harmony between the natural colors of the evening sky and with the flickers of artificial lights that is stretched over the horizon. Although the line between the sky and the water is not visibly definable, yet the invisibility heightens the clandestine nature of the narrative that Whistler is trying to convey through this work. By the time Cremorne Gardens, No 2 had been in the works Whistler also began working on Harmony in Blue and Gold: The Peacock Room, 1876-77 , an interior design commissioned by the English ship-owner Frederick R. Leyland. For the installation that began by Architect Thomas Jackyll, Whistler took inspiration from Leyland’s Chinese export porcelain that intended to be housed once the interior is finished. 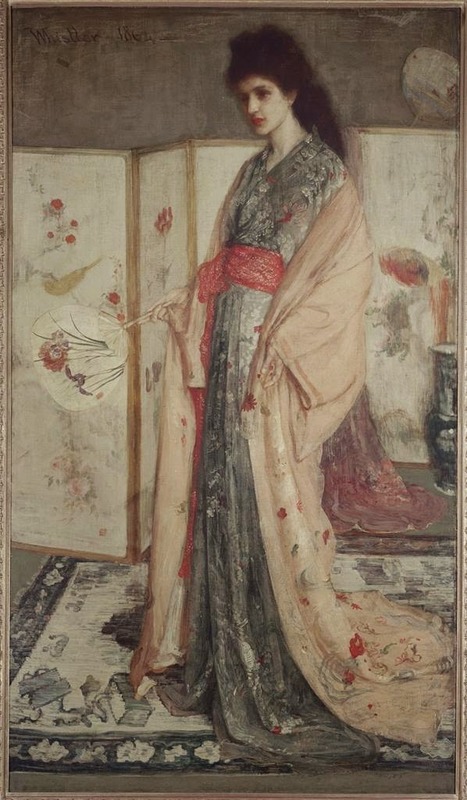 For the room, Whistler’s painting La Princesse du Pays de la Porcelaine, 1864 (of which is a portrait of a young woman dressed in a Japanese kimono style dress standing in front of a screen while holding a paper fan) was to be the centerpiece. The floral designs of her dress matching the style of the interior objects surrounding the portrait were meant to mimic the style of Chinese and Japanese designs. Whistler’s fascination with the aesthetics of the Far East began as early as ten years before making Cremorne Gardens, No. 2, and ten years later his style of Chinoiserie had become more sophisticated. Rather than mimicking the floral patterns, which, was only a design element commonly associated with the Far East. By the 1870s, Whistler had already carefully looked at more works of the Far East and even illustrated a catalogue of blue and white porcelain ware. Henceforth, no longer resorting to floral pattern but also taking inspirations from figure and composition. Cremorne Gardens, No. 2’s horizontal composition conveys a narrative unfolding from left to right and across as often seen in 12th and 13th century Chinese hand-scroll paintings. Instead of using the space from top to bottom, Whistler refrained from a vertical-oriented narrative style. For the figures, the long tail of the gentleman’s coat and the ladies flowing evening gowns are painted with one delicate brush stroke to suggest graceful movements of the bodies. By comparison, in Court Ladies in the Inner Palace by Du Jin (ca. 1465-1509), the gathered material of the garments worn by the court ladies are painted in the similar fashion as in Whistler’s painting. However the overall sartorial fashion worn by Whistler’s figures in Cremorne Gardens, No. 2 is unmistakably Western. The atmosphere of the painting tells a story of a clandestine nightlife in London. As the Cremorne Gardens was associated with popular entertainment such as spectacular fireworks and dancing, some speculate that the painting depicts the encountering between three prostitutes and a male client. This speculation while echoes Whistler’s love of controversies as an artist who lived a bohemian life of his own. On the other hand, the narrative is only secondary in this painting. The Cremorne Gardens, No. 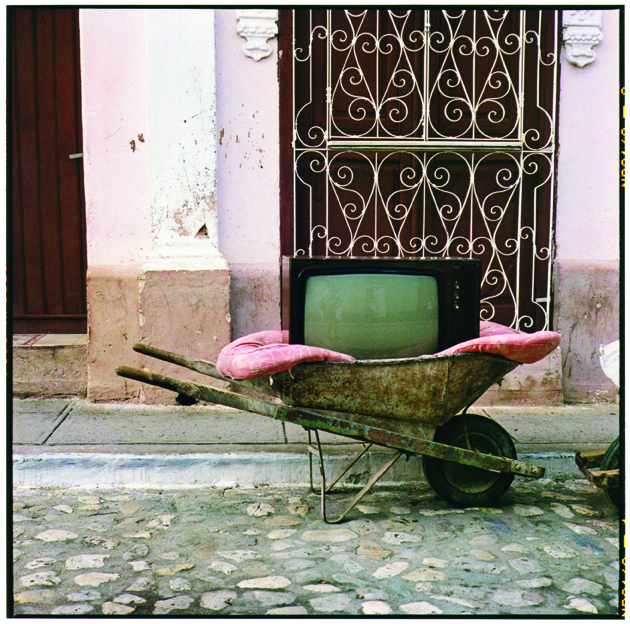 2 is unique because it is meant to be evocative and atmospheric by the harmonious fusion of pastel-like colors. Furthermore, as an American painter living and working in Europe Whistler was a true cosmopolitan for he used the aesthetic influence of Chinese and Japanese to paint a picture of European subject matter, that is Chelsea in the moonlight.